Wooley is one of the leading trumpet players of his generation, having engineered a new vocabulary on the instrument all his own. Originally from Oregon, he grew up playing trumpet professionally together with his father in west coast big bands at the age of thirteen. After studying in Colorado, Wooley moved to New York in 2001, where he has been active on the creative music scene ever since. He drew critical acclaim for his early collaborative group Blue Collar with Steve Swell and Tatsuya Nakatani, and also gained wider exposure through sideperson work with Daniel Levin and Harris Eisenstadt. He formed his own quartet in 2004, which originally included Matt Moran, Reuben Radding, and Take Toriyama. After two years of focusing on other projects, Wooley briefly revived the band in late 2007 and early 2008, but with Eisenstadt on drums. Throughout his brilliant career, Wooley has consistently pushed the boundaries of his instrument and become an in-demand musician in a diverse array of contexts. 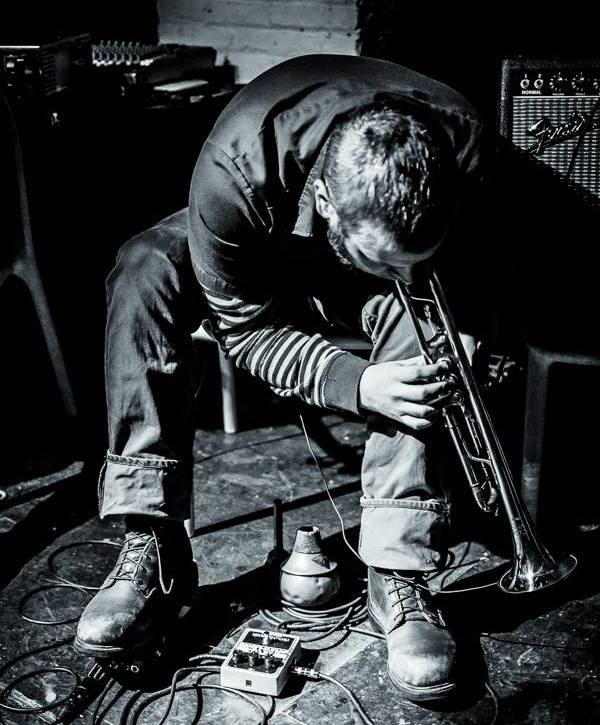 He has performed regularly with John Zorn, Anthony Braxton, Fred Frith, Evan Parker, Chris Corsano, C. Spencer Yeh, Peter Evans, Mary Halvorson, and Harris Eisenstadt. Wooley is known for his use of noise and drone aesthetics, extreme extended technique, amplification and feedback, and vocalization in his playing. Wooley’s work has been featured on the SWR JazzNow stage at Donaueschingen, the WRO Media Arts Biennial in Poland, Kongsberg, North Sea, Music Unlimited, and Copenhagen Jazz Festivals, and the New York New Darmstadt Festivals. He has inhabited artist residencies at the Issue Project Room and Douglass Street Music Collective (Brooklyn) and at Cafe Oto (London). He was named one of New York Jazz Record’s artists of the year in 2012. Wooley also works as the editor-in-chief of Sound American, an online quarterly journal for the Database of Recorded American Music, for which he has also served as curator.